Hollywood, CA, United States (4E) – The Mark Wahlberg-produced drama entitled “Shooter” was set to be released earlier this July but the premiere date was pushed back twice due to the latest police-related shootings in the United States. The network released a statement on Monday saying that they have considered many things before they decided on moving the release date again. Together with Paramount TV and Universal Cable Productions, USA said they have decided to have the show, starring Ryan Philippe, be moved to October but no specific date was announced. “Shooter” is based on the 2007 film of the same name where Wahlberg starred in. The original premiere of “Shooter” was on July 11 but USA had to moved it to July 26 due to the death of five police officers in Dallas. However, the recent police shootings in Baton Rouge and Minnesota led to the cancellation of the premiere of the drama once again. USA Network reportedly felt that it was not the right time to debut the show. 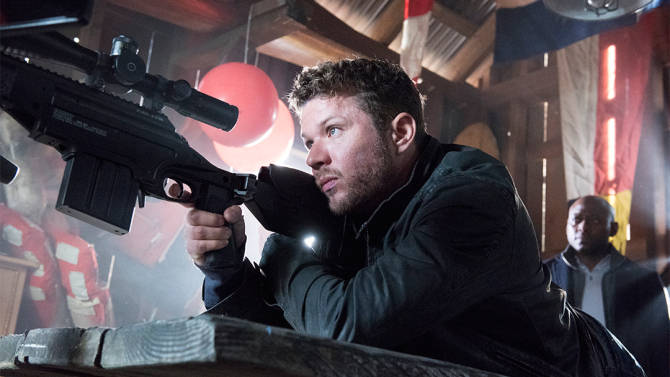 “Shooter” will reportedly feature 41-year-old Philippe as a former Marine named Bob Lee Swagger. Swagger will be placing himself in self-imposed exile but will be working with Secret Service agent Isaac Johnson, to be played by Omar Epps . The two will then work together to prevent an attempt to assassinate the president. This is not the first time that USA Network has considered recent controversial events regarding their show. In the season one finale of “Mr. Robot,” it had to be moved after a Moneta , Virginia reports was shot on live TV. The production team of “Shooter” continues to shoot other episodes of the series in Santa Clarita, California. It has received a 10-episode season one order from USA Network last February. “Shooter” is produced by Wahlberg , Stephen Levinson , and Lorenzo di Bonaventura .